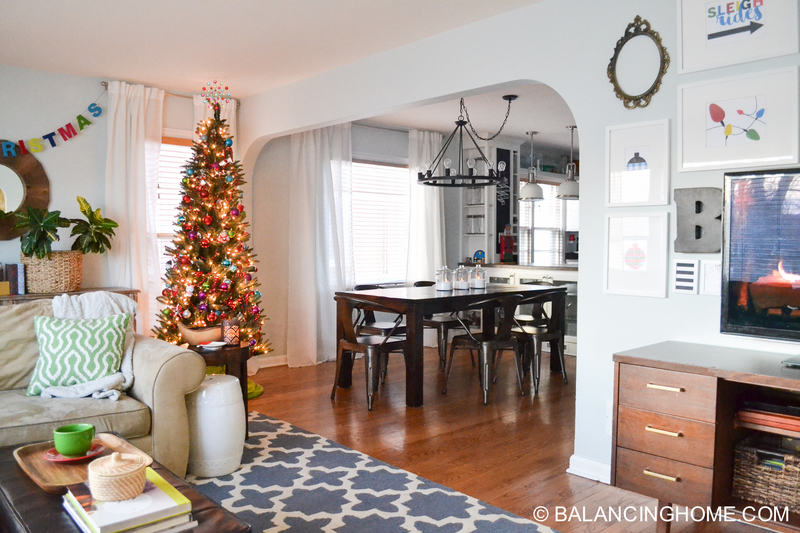 Welcome to our Christmas home tour. 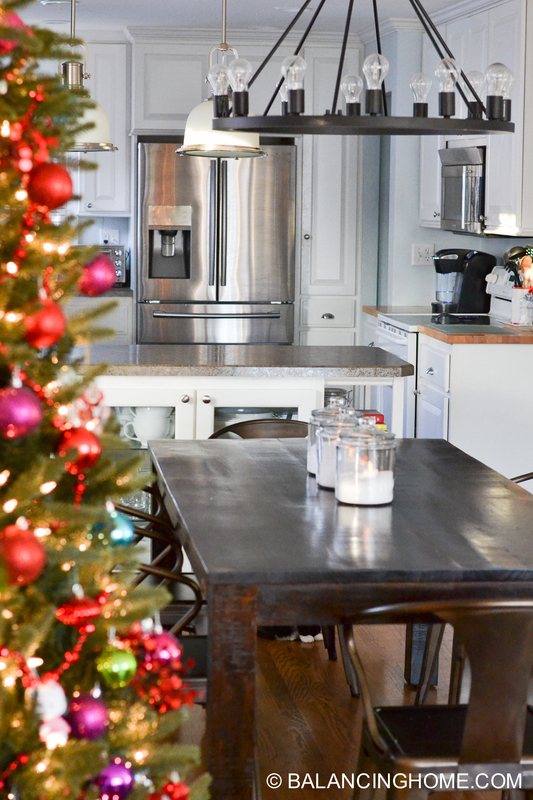 We have four young and active kids here so we like to keep our holiday core simple, affordable, bright and fun! 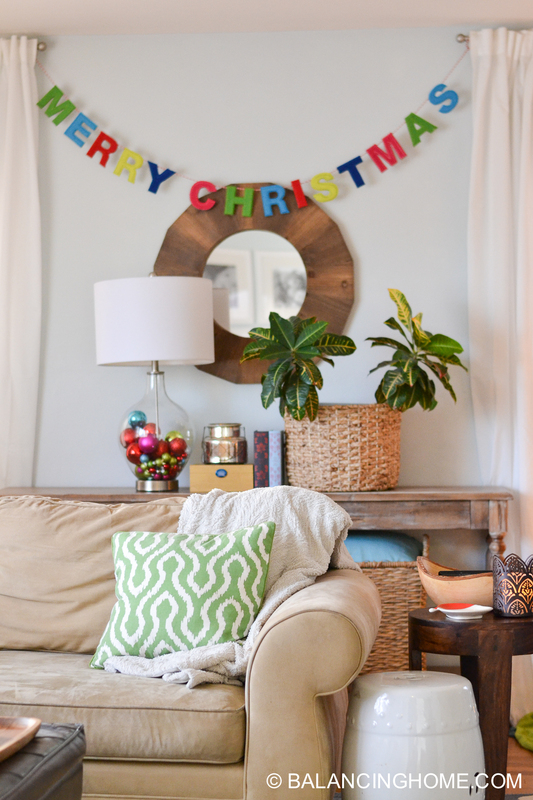 Thank you so much to Not Just a Housewife for hosting this fun Christmas tour blog hop. Welcome to all our new friends from the Blooming Homestead. 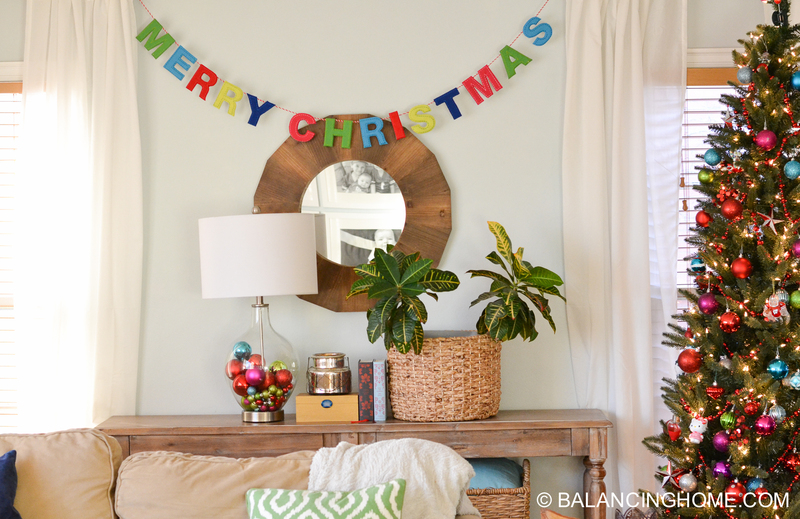 Colorful ornaments on the tree and in the lamp and bright Merry Christmas banner is all it took to bring some holiday cheer to this living room wall. 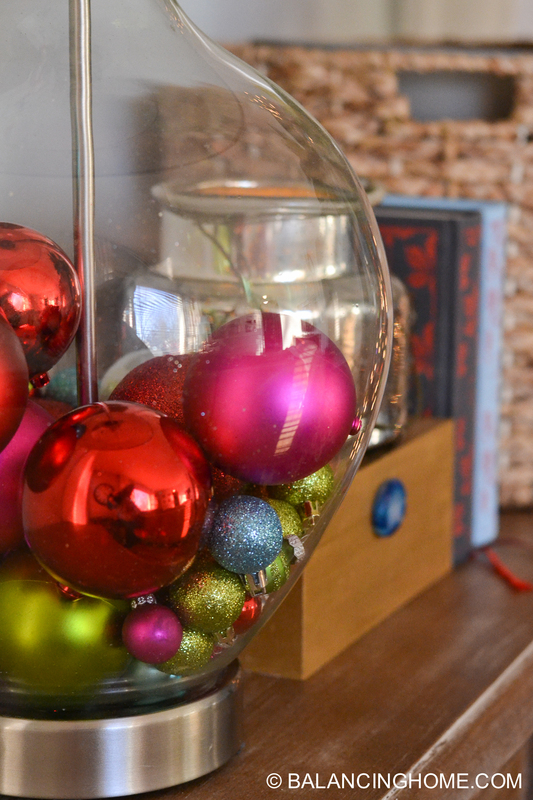 I didn’t buy a single Christmas decoration this year! I can hardly believe it. I also switched over the pillow covers to better match our color scheme, pulling colors from that Merry Christmas banner. 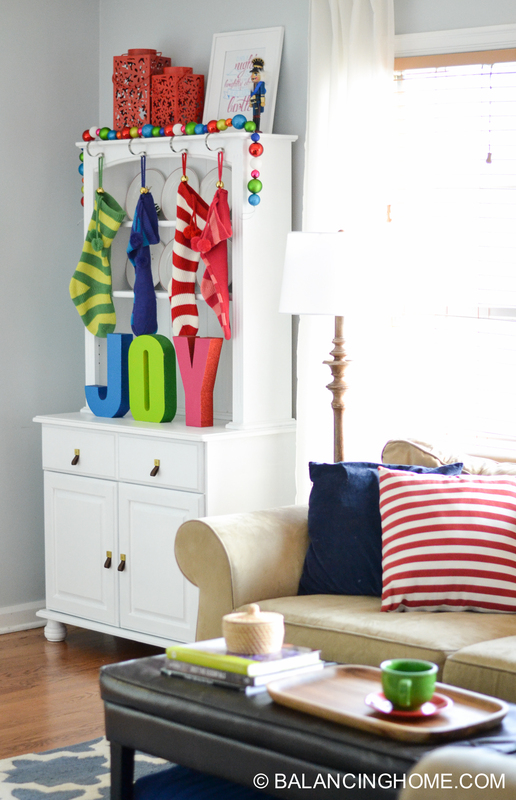 Rummage sale plates, stockings, a printable from the blog, and lanterns and JOY from holidays past dress up the bookshelf in the living room corner. 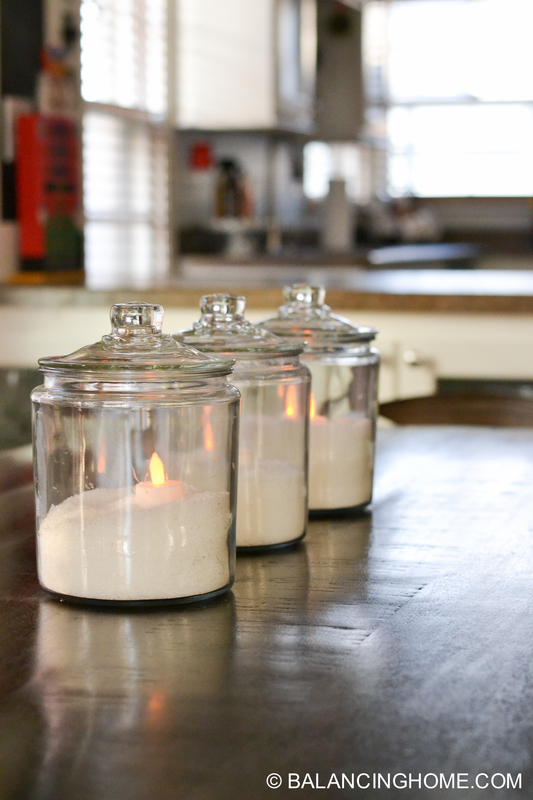 Over in the dining room, three cookie jars I had, filled with epsom salt and battery operated tea lights add simple and affordable holiday cheer. 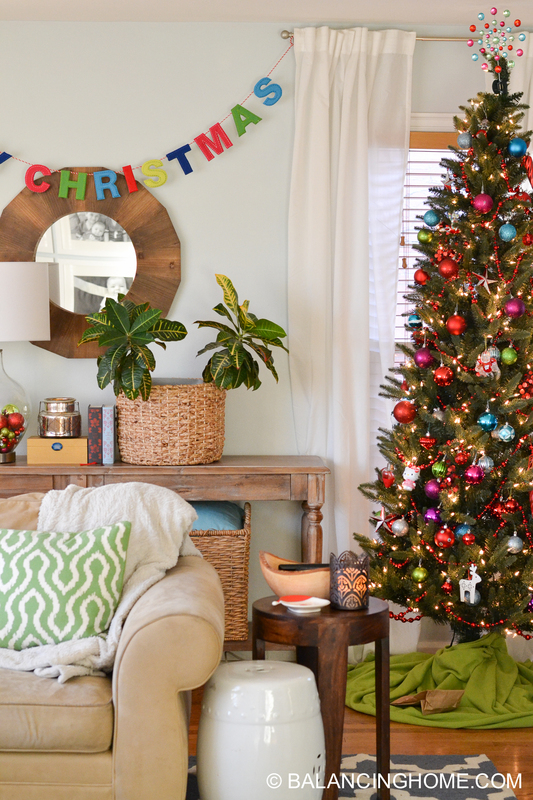 With our open floorplan and the tree where it is, it brings a little holiday cheer to all the rooms! 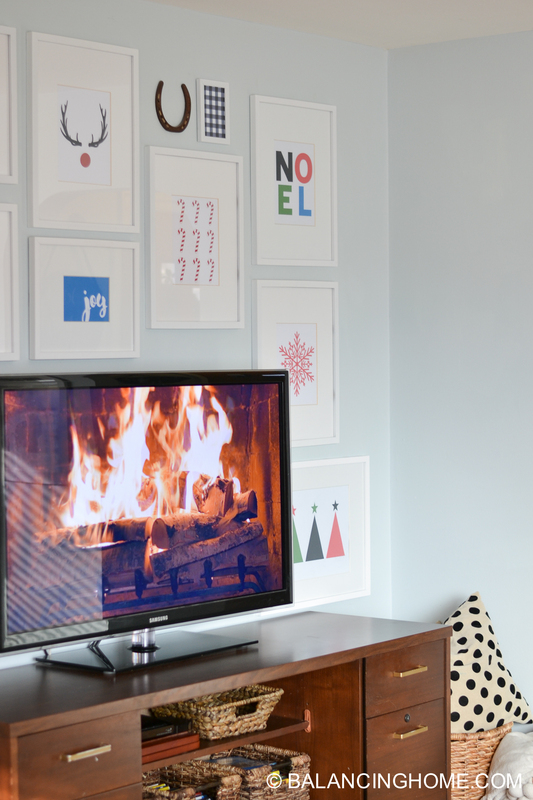 We probably got the most bang for our buck with our gallery wall. 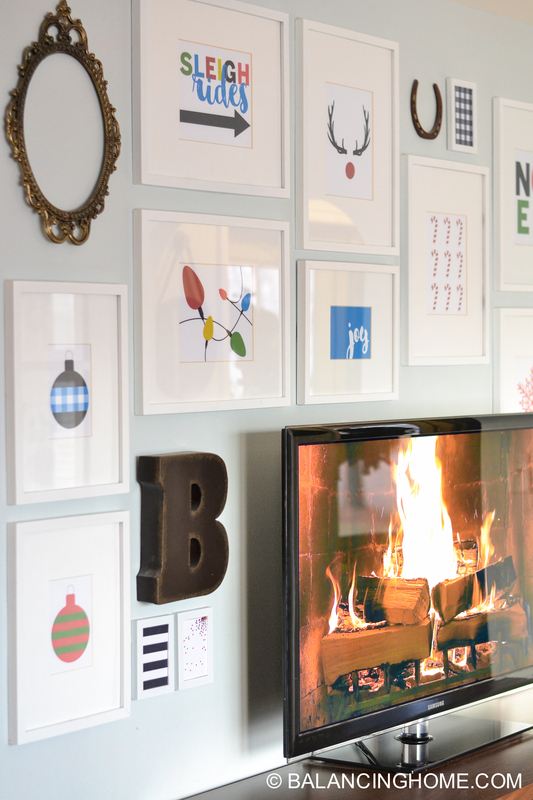 We replaced the photos with Christmas printables, all thirteen of which we are offering FREE right here. 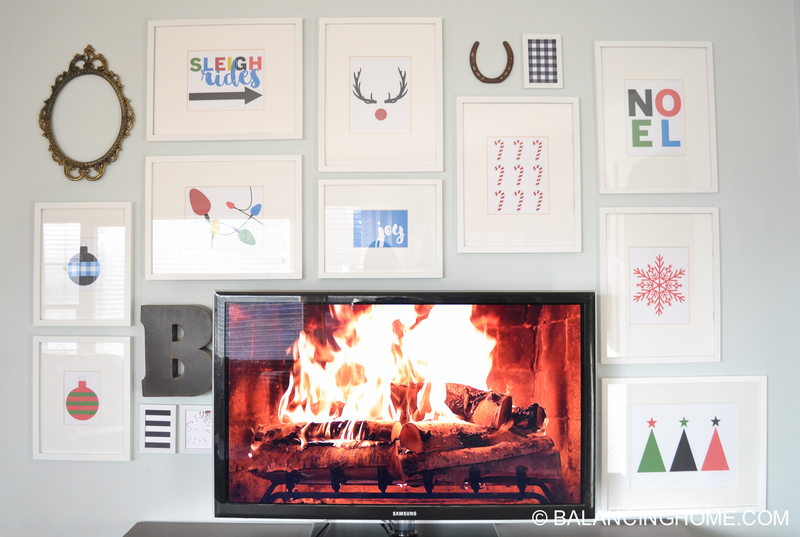 Grab all 13 FREE Christmas Gallery Wall Printables here. 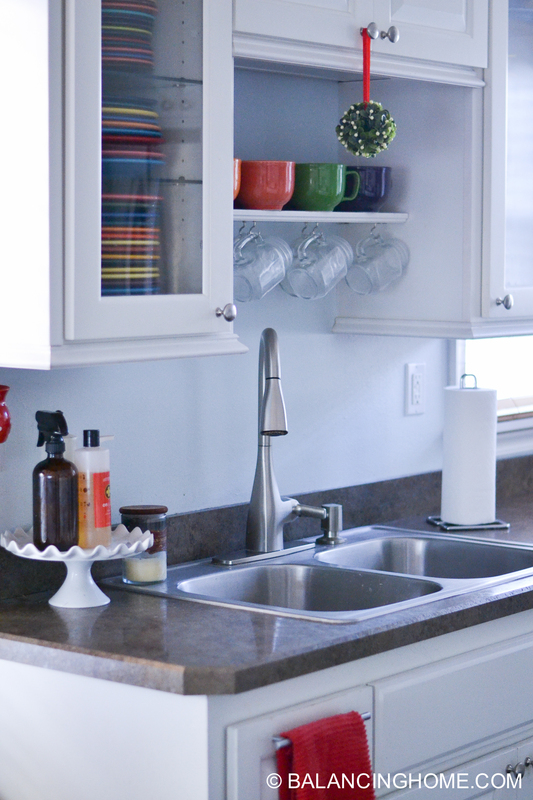 The kitchen got a red dish towel and some mistletoe for whoever gets stuck doing the dishes. 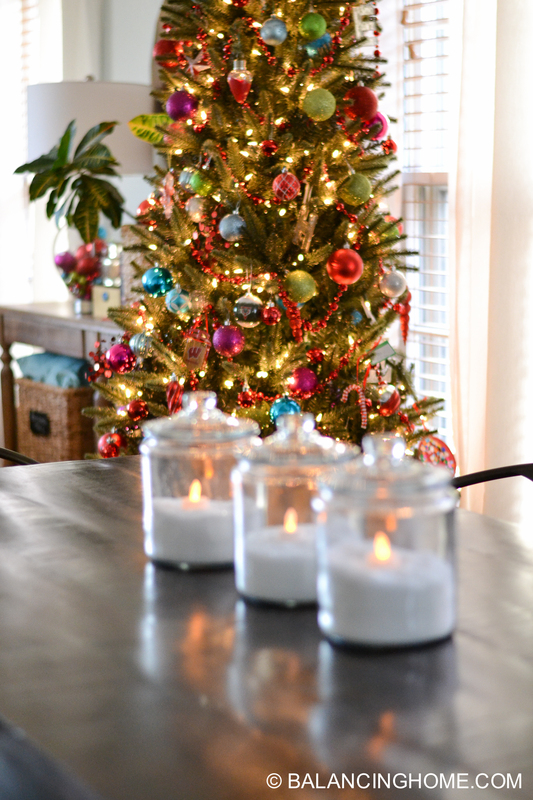 Thank you so much for joining me on my Christmas Home tour! Be sure to check out Southern Hospitality next.